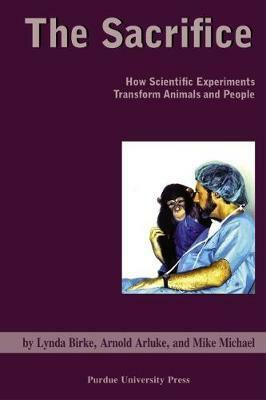 The Sacrifice provides a uniquely detailed account of the sociological context of animal experimentation. The authors provide a rich analysis of complex and changing role of the laboratory animal in the political and scientific culture of the United States and the United Kingdom. By understanding the interplay of the groups, the authors view the experimental controversy as an ongoing and constantly recreated set of social processes, not just a problem of morality. Linda Birke received her Ph.D in biology, specializing in animal behavior. She has also focused on the social studies of science, particularly from feminist perspectives, and has written extensively on these themes. Arnold Arluke is Professor of Sociology and Anthropology at Northeastern University and Senior Scholar at Tufts University Center for Animals and Public Policy. He has published over 70 articles and eight books. Mike Michael is Professor of Sociology of Science and Technology at Goldsmiths College, University of London. He has a PhD in social psychology, and has written extensively on social psychology and social theory.